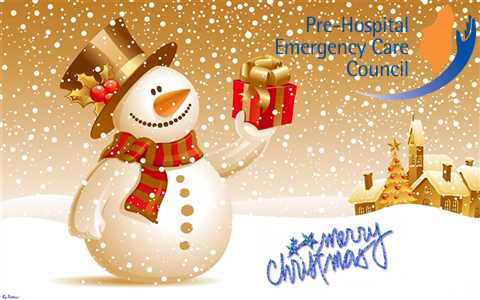 The staff at PHECC wish all our registrants, stakeholders and members of the public a very Happy Christmas and a peaceful and prosperous New Year. We offer our sincere thanks for your support and goodwill throughout the year and we are looking forward to continuing our involvement in the provision of quality pre-hospital emergency care during 2018. Members of the Education and Standards Committee. In the pre-hospital environment, evidence based practice (EBP) is about identifying the best available evidence and applying clinical expertise to interpret it. Simply performing clinical practice in the same way as you always did may not result in the optimum care for your patients every time. Clinical leadership is key to both promoting high-quality clinical care and transforming services to achieve higher levels of excellence. (Stanwick and McKimm, 2011). 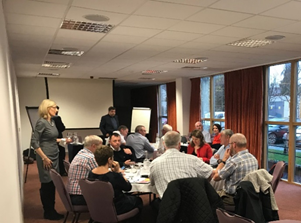 Council, at their meeting in October, approved a revised and updated Code of Professional Conduct and Ethics as well as the Registration Declaration for practitioners. 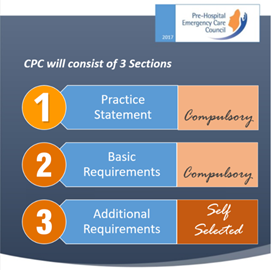 The revision, based on the guidance of PHECC’s legal advisors, is designed to update terminology and maintain currency. The amended Code and Declaration will be activated from 1 January 2018, and will be effective for you either on your initial registration or the next time you re-register. The HPRA* recently issued a press release about automated external defibrillators AEDs that require urgent updates. There are five models affected so it is important that organisations and individuals that have an AED check to see if an upgrade is needed. The press release provides links to its webpage specific to AEDs and an information leaflet on AEDs. 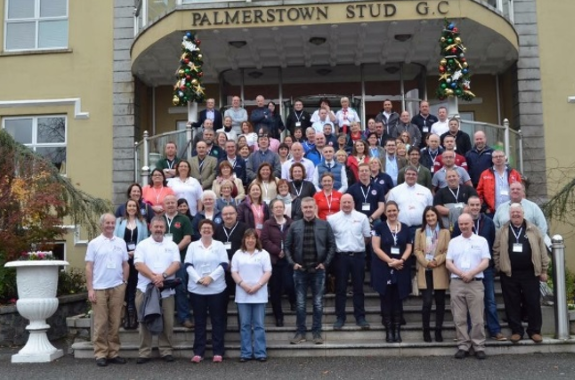 CFR Ireland and the European Resuscitation Academy, funded and supported by PHECC, were delighted to host the first ever European Resuscitation Academy (ERA) in Ireland in November. The event was run over two days on the 10th and 11th of November at Palmerstown House, Naas, Co Kildare. CISM Network Ireland (of which PHECC is a member) have been selected as finalists in the 2017 Civil Service Excellence and Innovation Awards for its Work Positiveci tool in the category of Research Analytics and Insight. Work Positiveci provides feedback on workplace stress, employee psychological wellbeing and critical incident exposure in the workplace. It delivers structured guidance enabling organisations to develop an action plan to mitigate against these stressors. You can find out more about Work Positiveci at www.workpositive.ie. All patients who suffer a witnessed or unwitnessed out-of-hospital cardiac arrest in Ireland, confirmed and attended to by the Emergency Medical Services (EMS), is registered on the out-of-hospital cardiac arrest register (OHCAR). Healthcare organisations aim to deliver reliable, safe and efficient patient care to the public. Because of this the general healthcare landscape is constantly changing and, at any given time, there are many new initiatives either ongoing or in development which seek to improve the quality of care. Safety in healthcare is of paramount importance and drives many of the new initiatives. 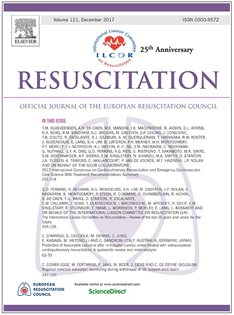 In line with the Health Research Board (HRB) Strategy (2016-2020) engaging ‘knowledge users’ in a co-funding research process from idea formulation to dissemination and implementation, an application was submitted by the Out-of-Hospital Cardiac Arrest Register (OHCAR) Steering Group, of which PHECC is a member, to the Health Research Board for an Applied Partnership Award (APA) 2016 grant. We are currently reviewing our service delivery for Recognised Institution (RI) application and course approval application, at practitioner and responder levels. When launched this will result in an online system replacing the present paper based application process. It will be similar to the current PHECC practitioner re-registration process. 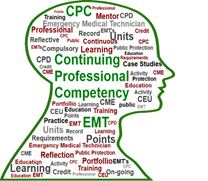 PHECC are introducing Continuous Professional Competence (CPC), in stages, for all PHECC registered practitioners according to their registration status. CPC for EMTs started in November 2013. This year marks the completion of a full assessment cycle for the EMT division of the Register. PHECC Cardiac First Response Courses – Community and Advanced are recognised by the Irish College of General Practitioner (ICGP) and the Nursing and Midwifery Board of Ireland (NMBI) for continuing professional development and continuing education units for the respective professions of general medical practitioners, registered nurses and registered midwives. Protocol 37 implementation is now completed, with 46 hospitals listed with access to the emergency inter-hospital transfer service provided by the National Ambulance Service. 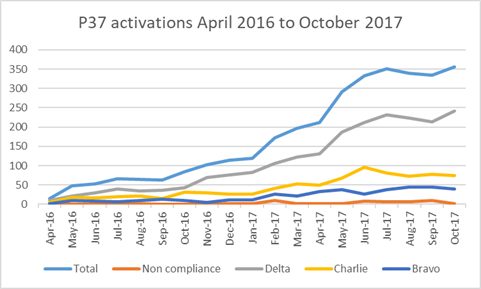 The number of transfers has been steadily increasing month-on-month as more hospitals have gained access post training. Here is the 7th Statement of the Health and Safety Authority (HSA) in relation to transition to Pre-Hospital Emergency Care Council (PHECC) First Aid Response (FAR) Education and Training Standard. Naas, Co. Kildare, W91 TK7N.